Bitcoin Bytes: What is Bitcoin? Watch the short video on the right (or click www.weusecoins.com) under Video Bytes>> to see how it works and read the Introduction to Bitcoin to learn more. The full story of Bitcoin is well set out in the 'Wired' magazine article published in late 2011. Bitcoin is a decentralized digital currency alternative to the existing and accepted government controlled printed and electronic bank money - ie. fiat money. Instead, the tasks of issuing new money (bitcoins) and verifying transactions is managed collectively by the p2p network. 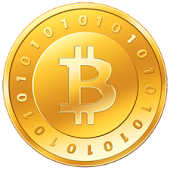 Bitcoins are digital tokens accepted by individuals and companies as an alternative to money in exchange for the supply of goods and services. 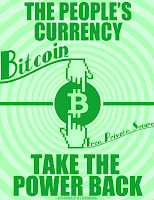 Bitcoin enables instant payments from person to person to anyone anywhere in the world (using advanced p2p cryptographic* technology) on the internet with no central authority and without going through a bank or clearing house. Issuing Bitcoin money and managing Bitcoin transactions* are carried out collectively by the p2p network. Bitcoins are (almost) as anonymous as cash and impossible to chargeback. In fact, the use of Bitcoin to make online payments is like being able to spend 'cash' on the internet. Use of the Bitcoin network is generally free, except for a tiny voluntary fee you can pay to speed up transaction processing. Find out more about how it works here and also here. With Bitcoin's future growth and its potential universal adoption, many interesting and revolutionary possibilities begin to emerge - lower or zero inflation, instant and much lower cost (local and international) money transfers, freedom to spend at will without government interference to name but a few. So.to learn and understand more about the 'money' revolution that is Bitcoin, explore the links on the left hand side under "Helpful Bytes" and those links on the right under "Expert Bytes." Also read here. 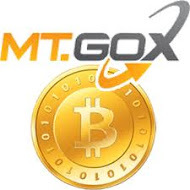 When you are ready to buy and use bitcoins then you can get started with Bitcoin here.